Are you interested in seeing a LIG in Tampa Orlando? March 12, 2019 - Email us if you are a Service Management professional who is interested in attending events in the greater Central Florida area. Where do you live? What type of events are you interested in and when could you attend? We are trying to determine local interest in forming a local interest group. We want to hear from you! 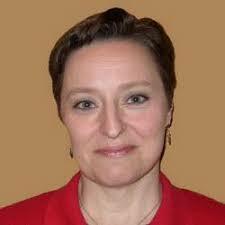 About Lou: An ITIL Expert with over 30 years in service industries, Ms. Hunnebeck is a Principal Advisor at DXC Fruition. Her passion for improving how we do what we do led her to IT Service Management from a background of process consulting, training and Service Management systems consulting. Ms. Hunnebeck is the author of the ITIL Service Design 2011 Edition, Senior Architect/Co-Author for the ITIL Practitioner Guidance publication, serving on the Lead Architect Team for the current update to ITIL, and speaks regularly at industry events. March 27, 2019 - Want to get news from Tampa Orlando LIG? Sign up here. Working to restart Tampa Orlando LIG? Interested in volunteering? Contact us.